The College Boyz were an American hip hop group composed of R.O.M., Squeak, Humphry and DJ Cue. They were signed to both Virgin Records and Capitol Records. Originally calling themselves RMG, the group changed their name to College Boyz upon moving to Los Angeles. They released their debut , Radio Fusion Radio, on April 7, 1992 through Virgin Records. The album wasn’t a huge success, but it managed to make it to three different charts, peaking at #118 on the Billboard 200, #25 on the Top R&B/Hip-Hop Albums and #2 on the Top Heatseekers. Radio Fusion Radio also featured the hit single “Victim of the Ghetto”, which peaked at #68 on the Billboard Hot 100 and #1 on the Hot Rap Singles. On October 4, 1994 the group released their second and final album Nuttin’ Less Nuttin’ Mo’. It wasn’t a success, only making it to #80 on the Top R&B/Hip-Hop Albums, and producing a single “Rollin” that only made it to #49 on the Hot Rap Singles. The College Boyz disbanded in 1994 with Romany “R.O.M.” Malco eventually becoming a successful actor. 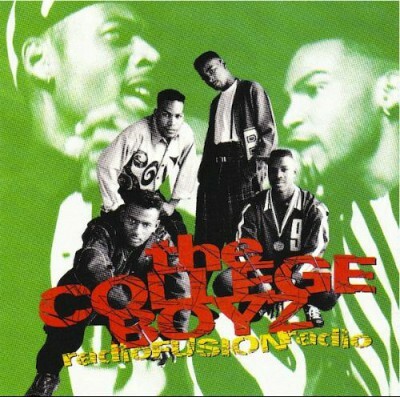 comment "The College Boyz – Radio Fusion Radio (CD) (1992) (FLAC + 320 kbps)"